If you thought the HTC Phone 8X’s designs were too similar to the Nokia Lumia 920, just wait till you get a look at the Huawei Ascend W1. With all the attention that the Nokia Lumia 920 is getting, it’s no surprise that other phone manufacturers are willing to test the Windows Phone 8 waters. And the Huawei Ascend W1 is the Chinese manufacturer’s first attempt at a Windows Phone 8 device. 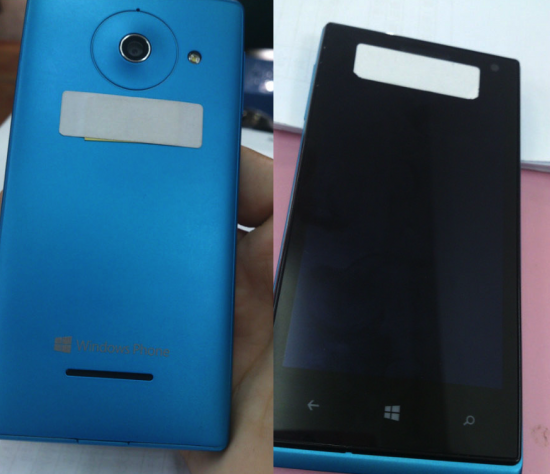 We first heard about this device a couple of weeks agobut it’s only now that we’re getting a good look at the device, and boy, it sure looks like the Nokia Lumia 920, especially with that cyan-colored case. Which isn’t necessarily a bad thing because this device has the same sleek design as the phone it apparently took its inspiration from. Not bad for a mid-range device, if you ask us. But if you’re holding your breath for the device, there’s no word yet on whether this device will see release in Europe or North America. It will, however, be available in China by the end of this year or in early 2013, if rumors are to be believed. I guess you’ll have to stick with the Nokia Lumia 920 or the HTC Phone 8X if you want a colorful Windows Phone 8 device. Does the Huawei Ascend W1 seem like viable cheaper alternative to the Nokia Lumia 920 or the HTC Phone 8X? What price would you consider fair for its specs? Discuss in the comments below!